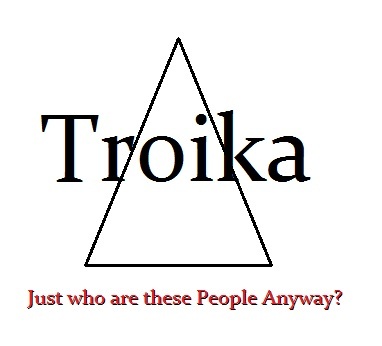 The term Troika, actually comes from the Russian meaning “group of three”. It was increasingly used during the Euroland crisis to describe the European Commission, International Monetary Fund and European Central Bank, who formed a group of international lenders that laid down stringent austerity measures when they provided bailouts, or promises of bailouts for indebted peripheral European states – such as Ireland, Portugal and Greece – in the financial crisis. However, this unholy alliance is totally undemocratic and amounts to an economic dictatorship that is composed of lawyers and bankers – not economists or anyone who has real live experience in how the economy even functions. This unelected dictatorial Troika at the head of Europe is totally out of control. They actually believe that they can threaten, manipulate, shut down elections and referendums, all in the name of saving Europe (their own power base) that they pretend is best for the European people. The Troika has actually threatened many countries and stages coups to overturn Berlusconi because he wanted to take Italy out of the Euro. They shut down referendums in Greece and have their hand in Scotland and Spain based on information and belief. Now, this dark sinister Troika has had the audacity to threaten Ireland that it would send the country and its people into bankruptcy if the government tried to burn bondholders. The behavior of these people is simply off-the-hook and amounts to a fish flapping around on the deck of a ship grasping for its last breadth out of water. 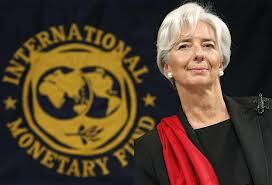 This Troika includes guess who – Christine Lagarde. She is a lawyer with ZERO economic experience. This reflects the attitude of the Troika – issue a decree and punish anyone you rejects it. This is how dictators operate. Lagarde has been attacking every former tax heaven threatening that they would be pulled out of the Swift System as they have done to Iran and they will be unable to buy or sell. She is demanding that every country turn over any foreigner in their country to be reported for taxes. 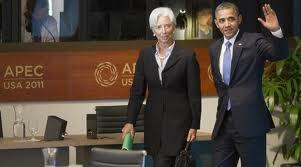 Yet Lagarde was hand-picked by Obama. It is clear that Obama has been threatening to bypass Congress operating the very same way as the Troika. This entire group of “leaders” amounts to a ban of lawyers supported by the money-center bankers who have been fined more than $150 billion for manipulating markets – but nobody ever goes to jail. The Troika monitors if bailout countries carry out the reforms that have been dictated. However, there have been a lot of complaints behind the curtain about this very un-Democratic body of dictators who are not subject to the election of the people. The Troika has come under scrutinization because of so many rumbling behind the curtain that people have no idea about. As there have numerous concerns about just how the Troika even operates and this has forced the European Parliament to conduct an inquiry. They have been compelled to actually visit countries involved and conducted inquiries with people who have been involved with Troika decisions. Two own-initiative reports were adopted during the March plenary. There has been a total lack of any transparency with the Troika and that is highly dangerous for they have been able to do as they like behind the curtain without any fear of scrutiny. However, the rising civil unrest in Europe keeps getting worse. Just how successful have the policies of the so-called Troika been in fighting the crisis in the Euroland they created? A hearing organised by the economic committee on Tuesday November 5th will look into this. Discussions will focus on the situation in Ireland, Cyprus, Spain, Slovenia, Greece, Portugal and Italy as well as on the democratic legitimacy of the reforms asked for. What may start to emerge is just how dangerous this arrangement has been to Europe and the world economy. The European Central Bank (ECB) has obviously played a key role in fighting the crisis in Europe in recent years, making it important to scrutinize what it has been doing as well. The ECB is now preparing to take on the supervision over Europe’s largest banks and they are hiring 25,000 people for that task. The European Parliament votes on a report reviewing the ECB’s work in 2012. It certainly appears that November could hold some political developments if any of the truth really comes out. « Ebola – The Next Plague/Pandemic?